Cannabis is well known for being one of the most medicinal plants on the face of the earth. Anyone who argues against that statement is simply misinformed, to put it nicely. People all across the world, for over 10,000 years have been safely using this sacred flower for a plethora of reasons (1). Honestly, I don't even care why you use it. If you want to get baked, you should be able to get baked freely. If you're medicating, I can relate as I've been suffering from chronic pain for years. I wish you the best. Having a good vaporizers is important. Bad devices actually combust your material, eliminating the health benefits of vaping. The price ranges all the way up to $329.95 for a premium device and as low as $34.99 for a starter device. Any of the devices listed below will at least get the job done, but the 4-5 star devices go above and beyond the industry standard. Yocan Evolve-D Vaporizer	 Dry Herb	 $34.99	 Bare bones starter dry herb device. Gets the job done. Inexpensive. 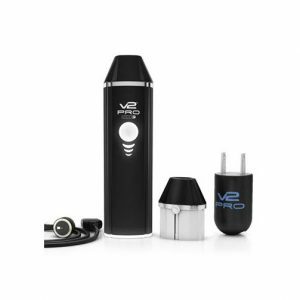 Yocan Evolve Vaporizer	 Wax	 $34.99	 Bare bones starter concentrate vaporizer. Gets the job done. Inexpensive. R2 Series Vaporizer	 Wax	 $49.99	 Nicer starter concentrate vaporizer. If I could do half stars this would be 3.5 stars. 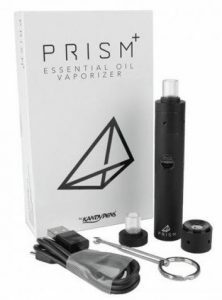 Prism	 Wax	 $97.99	 Great performing wax pen. Can charge with iPhone cable or micro USB. Hits just as good as Prism + but has smaller battery and chamber. VaporFi Orbit	 Dry Herb	 $99.99	 Mid range dry herb device. Good device, but for the price I wish it could do more than just dry herb. 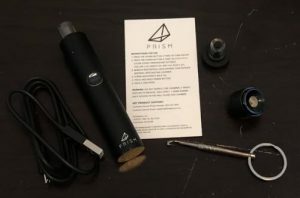 Prism +	 Wax	 $127.99	 Best performing wax pen. Comes with two wax chambers. Ceramic plate and dual quartz chamber. Closest wax pen to a dab rig. 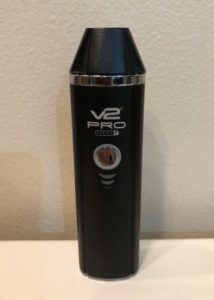 V2 pro Series 7	 Dry Herb/Wax/Oil	 $149.99	 Excellent performing 3-in-1. My personal favorite (best bang for buck). Comes with oil and dry herb cartridges. Wax cartridge $29.99. Pax 3	 Dry Herb/Wax	 $249.99	 High-end 2-in-1. Can't go wrong with the Pax 3. Reliable and performs well. Firefly 2	 Dry Herb/Wax	 $329.95	 Very nice high-end convection device. This is for the aficionado. Whether you've never vaped a day in your life or have been vaping for some time, V2 is a brand that should be on your radar. 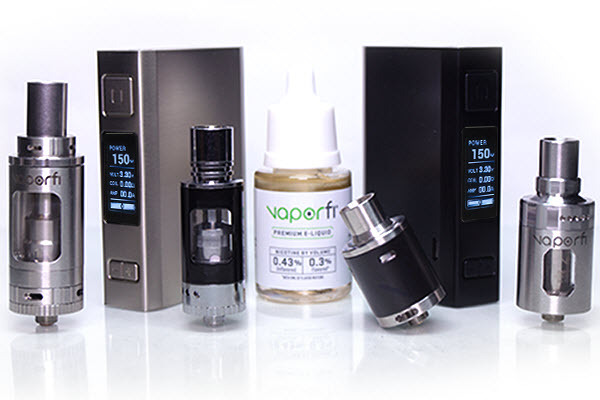 They've been in the vaping industry since its inception and make stellar products. 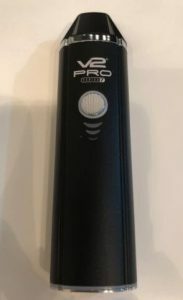 The V2 Pro Series 7 is their best product yet. It is stylish and sleek, allowing you to vape without drawing much attention. But it's also big enough to have a vape sesh with your friends. With the lower-end devices, you will have to keep repacking the chamber when vaping in a group. I rarely ever smoke or vape alone, so having a decent size chamber is really important to me. While the size of the chamber is extremely important, it's not the most important aspect. What trumps the size of the chamber is the ease of use and most importantly, the performance. 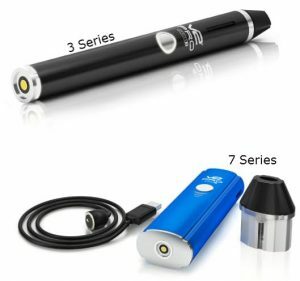 The Series 7 is a 3-in-1 vaporizer that's capable of vaping e-liquids, dry herb, and concentrates. 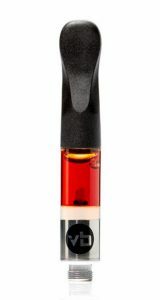 It comes with an e-liquid cartridge and a dry herb cartridge, but the wax cartridge must be purchased separately for $40. This is something that varies greatly from vaporizer to vaporizer. It's important to start with a device that's easy to use because it's one less thing you have to worry about. Not to mention that hard-to-use vaporizers are a royal pain in the rear and rarely worth the trouble. Well, the V2Pro Series 7 is extremely easy to use. This screenshot was taken from V2's website. As Happy Hunter stated, the Series 7 is intuitive to use. I recommend reading the instructions, but it's not rocket science. The cartridge is a magnetic cartridge, meaning you don't even have to screw it in. You just pull it out, load it, and set it back in. The magnets will secure the cartridge as you place it in the vaporizer. The loose leaf cartridge only takes 30 seconds to heat up. Once it's ready, you press the button and take a draw. There are three different temperature settings which is something you should play with to find your sweet spot. It's a nice bonus feature that a lot of devices don't offer. All-in-all, what makes this 3-in-one so easy to use is the plug and play cartridges, it's easy to clean, and the quick heat up time. The intuitive design is very user friendly. The way a device performs is the most important thing to consider before making a purchase. Will it vape your bud efficiently or will it waste your precious buds? Is the vapor smooth or harsh? Does it allow the flavor of your material to be enjoyed or does it obliterate the flavor? Does it char the dry herb or does it vape your material evenly? These are just some of the questions that come to mind when looking for a new marijuana vaporizer. The Series 7 does really well with efficiency, especially on the lowest temperature setting (200°C). You will be able to get about 13-15 draws on a full chamber. The way your dry material vapes will depend on how you pack it. If you stuff as much bud as possible into the chamber, it won't vape evenly and the airflow will be restricted. Start off by filling the chamber without packing it. If you want, you can lightly pack it to get the herbs below the white rim of the chamber. Just don't pack it really hard and don't fill it above the white rim. I found the flavor and smoothness to be best at the lowest temperature setting. The higher settings can get harsh fast. The lowest setting provides a nice clean vaping experience, allowing the flavor to come through nicely. Overall, I love this device for the price range. If budget is of no concern to you, I'd recommend the Firefly 2 (dry herb and wax). But if your budget is under $200, the V2 Pro Series 7 is my #1 recommendation. It's smooth, efficient, easy to use, and performs consistently. The chamber is big enough to share and the device is small enough to travel with. You'll find the vapor to be tasty and powerful. If you aren't looking to spend upwards of $300, then the $150 Series 7 is a great choice. To avoid dealing with a third party, I recommend buying it directly from V2 Pro, making it easy to use the lifetime warranty if you need it. When it comes to vaping concentrates, the black Prism + (or the Prism) is my preferred vaporizer. It has a nice smooth matte finish and looks super sleek. If you like to vape tree, liquid, & concentrate, this isn't the vape for you. You would do better with a 3-in-1. But if you're a concentrate monster or want a pen specifically designed for waxes, this is a solid choice. The Prism is a performer, there's no doubt about it. It comes with two heating chambers, both designed for wax. The ceramic plate heating element is the one you want to use when you want to conserve your dab. The dual quartz chamber (my fav) is the one you want to use when you want to take massive hits. This is just how I view these two chambers, it's not law. It's is a temperature controlled device with four settings. Yellow is the lowest (320° F), then green (350° F), red (390° F), and lastly blue (430° F). Both chambers give off a lot of vapor when on the blue setting, but your wax will last longer in the ceramic plate chamber and you'll get bigger hits off the dual quartz chamber. If you're on the go and want to vape on your concentrate all day without adding more, go with the ceramic plate on the yellow setting. This pen is as close as I've gotten to taking a hit off a dab rig. If you use the quartz chamber on the blue setting, you'll see what I mean. You'll get some massive clouds. You can just tell this device was designed specifically for concentrates. The Prism is not a hard device to use by any means. You won't have to fumble around with tiny parts or anything of that nature. To load it, you just unscrew the mouth piece and drop some dab in the chamber. It does come with a small key chain dabber tool that's easy to carry on the go. If ease of use is the main thing you're looking for, go with the Prism +. It's a little bigger than the Prism which makes it easier to load. These devices are mad similar, so it can be hard to choose one. The three big differences between the Prism and Prism + are the size, led lights, and charging ports. Other than that, they're super similar. Let's start with the coolest feature difference. The Prism has two charging ports. One of the charging ports is the standard micro USB port. Cool. But the other charging port is a lightning port. Yep, you can charge the Prism with your iPhone cable. Don't ask me why they didn't include a lightning port on both pens, I have no idea. But my guess would be to fit a bigger battery in the plus. The Prism + has a cool little LED feature. There are four vertical LED lights directly opposite of the charging port. When you fire the Prism +, the LED light up in sequence. It looks like a mini light show. Pretty cool, but it wouldn't be the determining factor for me. The charging ports on the Prism are located on the bottom of the pen. The port on the Prism plus is located on the side of the pen, next to the firing button. Other than the charging ports and LED lights, the only difference is the size. The Prism + is a little bigger than the Prism, giving it a nice weighty feel, a bigger chamber, and a bigger battery. The battery on the Prism + is 900 mAh, while the Prism has a 320 mAh battery. Big difference. So if battery life is a huge factor for you, the Prism + is the way to go. Couple the bigger battery with the bigger chamber and you can vape all day. I forgot to mention the price. That is another difference between the two. The Prism + is $127.99 and the Prism is $97.99. If price is your main concern, the Prism takes the cake there. Both of the devices come with the two heating chambers, two mouth pieces, a dabber tool key chain, and a micro USB cable. My main con with the Prism and Prism+ is the price. Not everyone can afford to spend that much money on a dab pen. If price is no concern to you and you just want the best vaporizer, then this is the one I recommend to my family. It performs like a beast and has a nice little sleek feel to it. Remember, being able to use an iPhone charger is the main advantage the Prism holds. If that's not the deciding factor for you, I would get the Prism +. You have three choices when it comes to vaping cannabis. You can vape it by using concentrates such as oil, budder, or shatter. You can use e liquid. Or you can use the easiest method of all, cartridges. These three methods differ greatly and bring different benefits to the table. All of them get the job done, but one of them is probably best suited for your lifestyle. This is a very popular way to take in marijuana or CBD extracts. Waxes are the most potent form of cannabis out of the three. Marijuana concentrates can be upwards of 80% THC and CBD waxes can be up to 99% pure cannabidiol. The purity is a huge benefit because you'll get to vape less, and achieve the same effects. It just takes one puff of a strong concentrate to get a strong dose. Another benefit to using concentrates is the versatility. You have a lot of options, perfect for different situations, because there are several ways to vaporize your concentrate. You can use a dab rig (also called oil rig), which is great for at home use. Dab rigs produce the most flavorful and rich vapor, but they're not as portable as some of your other options. For portability, your best bet is to use a vape pen. These are extremely easy to use and so convenient when you're on the go. With the right pen, you'll get a nice smooth experience. 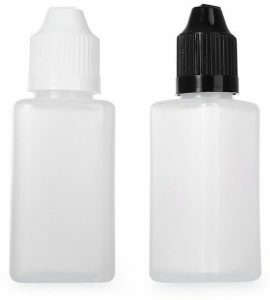 These are the main two ways to vaporize concentrates. If you live in a state with a medical or recreational marijuana program, then you'll be able to get THC cartridges. If not, don't worry because you'll still be able to get the same CBD cartridges that do a great job on my chronic pain. Cartridges are one of my favorite ways to vape because there's no maintenance involved. All you have to do is keep your battery charged and you're in good shape. They also have the added benefit of portability. They're more portable than any of the other options, although dab pens and regular vape pens aren't that hard to carry. Cartridges are easier to pocket because they're really slim and usually come with case, giving you two carrying options. To see my personal favorite CBD cartridge, read my Vape Bright review which also has a coupon code. I like their cartridges because they do a great job at melting my chronic pain away. What more can you ask for. THC vape juice is hard to find, but once you find some it can be well worth the search. Side note, please don't try to order it online illegally. That's the easiest way to flush your money down the toilet. So many people get taken advantage of because these con men know you can do anything about it. But if you live in a state with dispensaries, you might be able to get some legitimately. CBD vape juice, on the other hand, is easy to find. Both THC and CBD e liquids are awesome because you get to use your regular mods and pens to take in your cannabis. It's freaking awesome! You will probably waste more juice this way, but it's still fun to take massive rips off your beastly box mod and sub-ohm tank. I found a company tucked away in relative obscurity that sells really good, and reasonably priced CBD e-liquid. Their juice is just $0.13/mg CBD for the 15mL, 300mg bottle and $0.12/mg for the 30mL bottle. Some companies charge upwards of $1/mg, just trying to make a quick buck off of people who are new to CBD e juice. The place I get my vape juice from actually cares about their customers and people in general. They give 5% of every purchase to the charity of your choice, which you get to choose during checkout. You can view their products here.